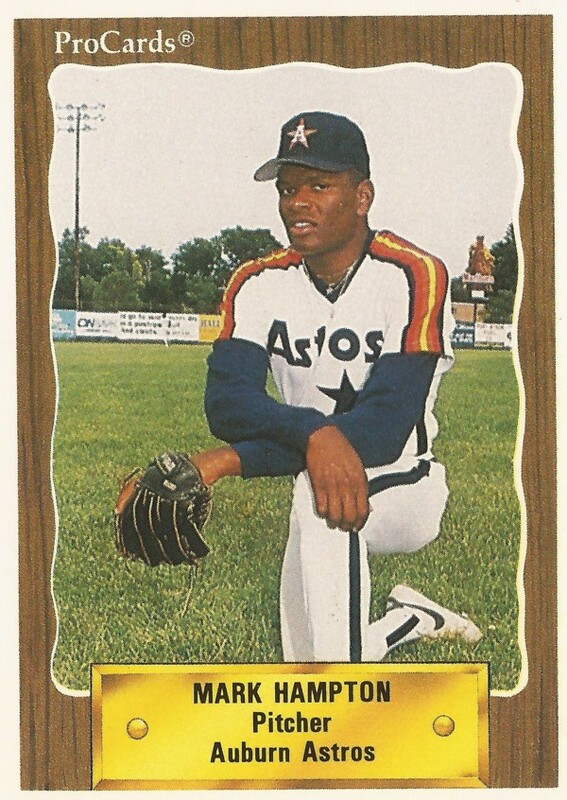 Amarillo Dillas outfielder Vince Moore wasn't so sure Mark Hampton would start this September 2000 playoff game. Hampton, a veteran right-hander, was the announced starter. But Game 1 starter James Woolscheid seemed like a better bet, Moore told The Amarillo Globe-News. "That's what they say, but I'm sure we will see Wollscheid," Moore told The Globe-News. "But last time (Hampton) faced us we had to win it in the ninth inning. He's a good pitcher, and we have to be ready." He pitched for Ozark that year in his 11th professional season, six of those seasons spent in independent ball. He went on to pitch in one more campaign. He never made AA. 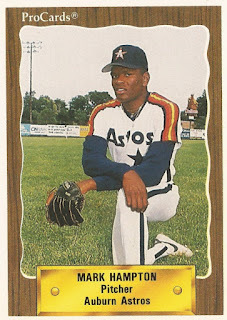 Hampton's career began in 1989, taken by the Astros in the 10th round of the draft out of Southwest Mississippi Community College. Hampton played his first year in the rookie Gulf Coast League. In 11 outings, he had a 4.79 ERA. He then played 1990 between the GCL and short-season Auburn, ending with a 6.19 ERA. After not being recorded as playing in 1991. Hamilton joined the Rangers at single-A Gastonia. In 36 outings, five starts, his ERA came in at 4.91. He played the next season in the Brewers system, between single-A Beloit and high-A Stockton. He then got his first taste of independent ball at Alexandria in the Texas-Louisiana League. He picked up six saves in 27 relief outings. Hampton's final season in affiliated ball came in 1995, with the Pirates at single-A Augusta. He then returned to the Texas-Louisiana League for good. He played 1996 between Alexandria and Amarillo, then 1997 and 1998 at Abilene. He won a July Pitcher of the Week award in 1997. He played 1999 and 2000 at Ozark. He picked up a June win, going seven innings and giving up nine hits. He started that playoff game, but his team lost. After skipping 2001, Hampton returned for one final season in 2002. He got eight starts between Ozark and Rio Grande Valley, ending his career.